Stop Mold Now! Fast response prevents MOLD. Emergency Flood Services is here to help with your Emergency Water Removal needs. 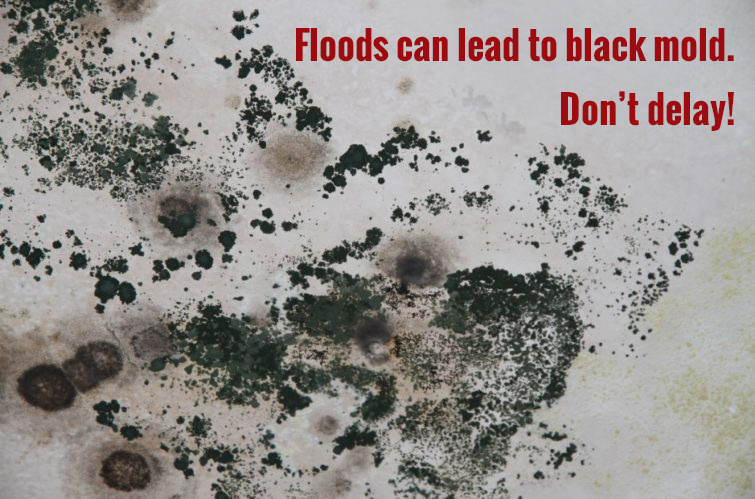 Don’t let a flood lead to a much bigger problem, MOLD! We respond in 45 minutes. 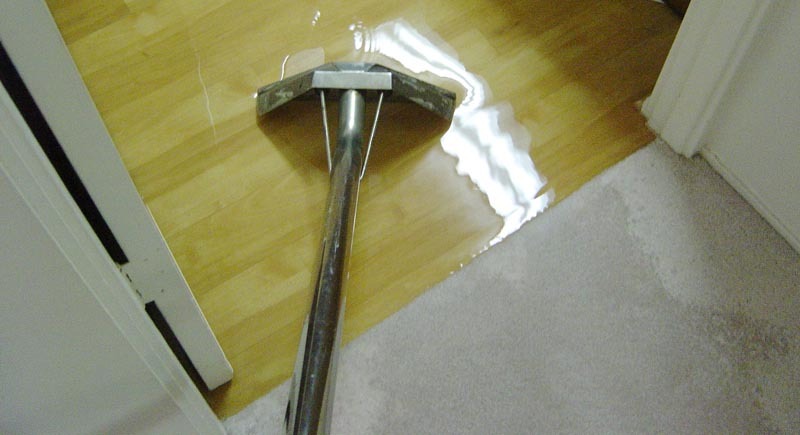 Your flood and water clean-up problems will be resolved quickly, anytime day or night. Call us now and our Emergency Response Team will spring into action! Emergency Flood Services can take care of it! We use the best equipment and the latest technologies, including the most advanced drying equipment available today. We use sophisticated Water Detection Equipment to pinpoint where water damage has occurred, and to find moisture hiding in walls and beneath the surface. 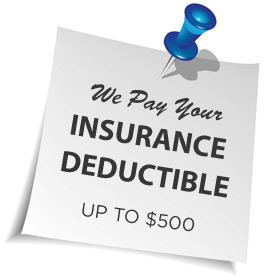 We will pay your insurance deductible for you (up to $500) so there will be no cost to you. Experts say that the worst water damage occurs when water has been standing for more than 48 hours. Water damage that is not promptly addressed can also cause hidden dangers like black mold, which can pose serious health risks, especially to young children! The top half of the photo on the right shows what a water-damaged area looks like to the naked eye. The bottom half of the photo shows what our sophisticated Water Detection Equipment sees. The color scale on the right of the photo starts at “Dry” at the top of the scale, to “Wet” at the bottom of the scale. You can see that, although the wall in the top photo appears ok to the naked eye, our Water Detection Equipment found a lot of moisture hidden beneath the surface! There’s only one company you need to call for your Emergency Water Removal needs. We offer free estimates and phone consultations. Give us a call today! Emergency Flood Services has been in business for over 20 years. We make claims with all the major home insurance companies, handle all your paperwork and we will even pay your deductible (up to $500). Don't delay your claim - Call Us Today!! Our Emergency Water Removal and Extraction Teams are conveniently located close to you to reduce response time! Broward County: Fort Lauderdale, Coral Springs, Sunrise, Plantation, Pompano Beach, Lighthouse Point, Davie, Miramar. Palm Beach County: Boca Raton, Boynton Beach, Delray Beach. Contact Emergency Flood Services for all emergency water removal needs and let us take the worry out of your flood problems!